Relay For Life - It's what working to "stomp" out cancer is all about! This amazing fundraiser for the American Cancer Society consists of volunteers in more than five thousand communities! It's 27 countries strong and growing stronger! Many who live in the Smoky Mountains area are standing up to do their part and they encourage you to join in the fight! RELAY FOR LIFE OF SEVIER COUNTY IS LOOKING FOR PEOPLE LIKE YOU! Cancer is a disease that effects everyone! Whether you've experienced your own battle, or know someone who has, the it's natural to rise to the challenge to do something to rid our community, our country and our world of this life-threatening disease. So what can you do? There's a multitude of ways to get involved! Because there are so many events related to this fundraiser, you've got plenty to choose from! You're special skills, regardless of your talents, is certainly needed, and will be most appreciated! Volunteer to be a team captain, join an existing team, or start a team of your own! Cancer survivors, those who've lost loved ones, and everyone else is encouraged to get involved! Becoming involved is a tremendous means by which to become involved in your community! Build team spirit through your church, or organization. Set up an event for military personnel. Bring cancer education and awareness into the school classroom. Involve pets with a "Bark for Life" celebration, or a "Kitten Bowl"
Training materials are available to to help with your event. 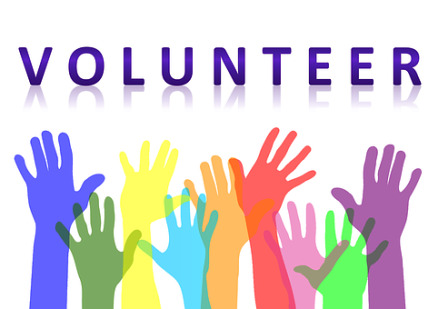 If you don't have the time to set up your own event, there are always volunteers needed to help those who are doing events in the Sevier County area. Or, if you prefer, there are other ways to get involved! Mail a check, or bring a monetary donation to your nearest American Cancer Society Office. Set up a "Match Gift" fund to match group members or employee charitable donations. Plan Gift Roll donations into your financial and tax planning goals. Call the American Cancer Society at 1-800-277-1885. Donate online at Relay For Life Sevier County. Opening Ceremony: Time to get started. We kick off the event by honoring everyone who's been affected by cancer and everyone who has contributed to the success of this year's Relay season. Survivor/Caregiver Walk: Survivors and Caregivers are the heart and soul of Relay For Life events. We honor their strength and courage with every step they take. It doesn't matter if you were diagnosed 10 days ago or 10 years ago, you can walk while everyone gathers together to cheer you on. Luminaria Ceremony: During this ceremony we represent everyone touched by cancer with a Luminaria. Each light represents a life—a life taken by cancer, a survivor of cancer, or a support for a person still fighting the disease. It's a powerful demonstration that gives people the opportunity to grieve but also offers comfort and hope. Closing Ceremony: Our closing ceremony is the time to commit to take action and help lead the fight for a world free from cancer. It's a time to celebrate what we've accomplished together and a time to unify for the work that needs to be done moving forward.